Learning PMTS can be very simple if you follow the progression HH has given us. Book 1, Book 2, then Essentials. No need to over analyze or question the steps that HH has laid out in the books and on this forum because they simply work. Nike has a slogon "Just Do It" and that applies here. Just Do It [PMTS] and you will be on the road to expert skiing. Historically this forum has been used as a distance learning system to supplement the PMTS books, DVDs, and camps. 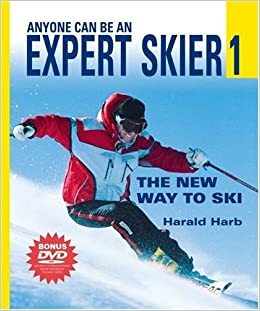 If you are learning PMTS from a distance then its very helpful to read the books and watch the videos, starting with Expert Skier 1. Nearly every question I can think of has already been asked and answered on this forum. The best way to search the forum is to use Google. Here is an example that you can type into the google search box to find informaing on counteracting movements here. Using Google focused on searching the PMTS forum yields a wealth of information! Yes, but have you looked up, "Hintertux Beer club"? The advanced search function once on the forum is great also. I typed "sheep" and got some interesting results.. I agree with you Max, it's all laid out in the books. The simplest exercises may seem ridiculous, but that's if you're not paying attention or expect that PMTS is a quick fix, or don't really want to do it. It's really all there, and yes, the easiest exercises like walking the S line will help even "good" skiers. If you've not skied by using foot tipping, you're a PMTS newbie and should start at the beginning. These exercises help identify muscle use, provide coordination and teach balance skills that will become very important when you are sliding. The best way to search the forum is to use Google.... Here is an example that you can type into the google search box to find information on counteracting movements here. FYI, you don't need the "http://www." Just site:pmts.org/pmtsforum works; Google implicitly adds the rest. Also, you can put the search term either before or after the site operator -- Google doesn't care. 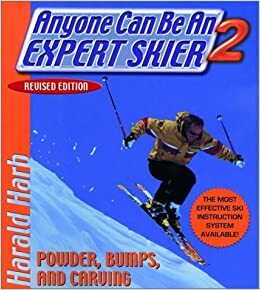 site:pmts.org/pmtsforum "counteracting" OR "counter acting"
If you want to ski like HH you must master the fundamentals in Books 1 and 2.
h.harb wrote: David, in the new book I introduced new ideas. I didn't want to drag out the approaches from my first two books, that I already explained in detail. This book builds on the foundations laid out in the first two books. And don't make the mistake that I made which was to think that book 1 and 2 are so old now they're out of date and go straight to the Essentials. Far better IMO to progress through book 1 and 2 first. Look at the top world cup racers and the new age of technical Skiers( Paul Lorenz, Reilly,Jonathan Ballou from the PSIA and many others) are all embracing flex movements to release the edge instead of push extension,weighted outside with a light inside foot for stronger edging, a return to a narrower stance , inside foot tipping to lead the turn with consistent edge for both feet and leading into the turn with the inside arm. 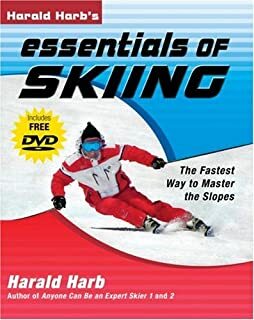 Funny how as I see these "revelations for improved skiing" on other sites as well as with some coaches as somehow "new", though they have been consistently part of this program for decades. Even the same race coaches I used to argue with who coached my kids over the years are now embracing the very principals they fought against in the past. Not total embrace of PMTS, but certainly on a better track that traditional PSIA. I am fortunate to have access to a snow center all year round, so I ski a lot. (I have no excuses ) I believe my skiing does not reflect 3 years of skiing. I ignored alignment, drills and thought I can develop these movements just by free skiing. I was wrong. I wasted a year. Only in the last year my skiing started to improve, that's when I submitted a video, got a MA (Thanks Max501 and all the others who commented), got a SMIM and worked on it, slowly, via the correct drills and video. PMTS, The gift that keeps on giving.